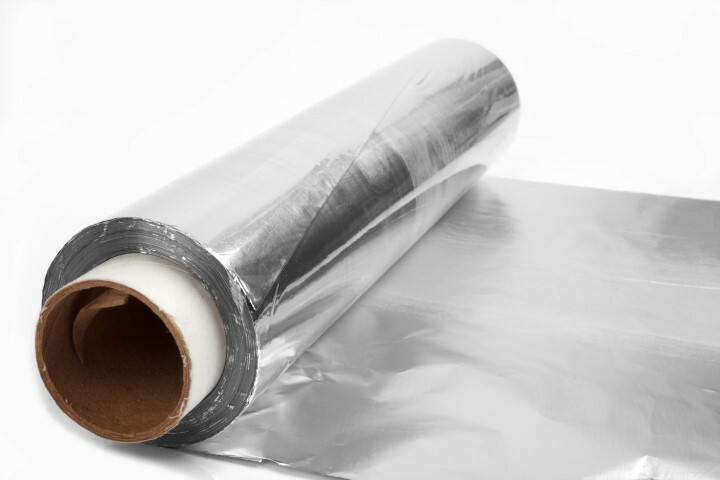 Aluminum foil known for its insulation benefits as well as several other uses. Used throughout the food service industry and residential space. Foil paper is created by using an extremely thin caliper metal which is laminated to a specialty paper for added strength. Thus making the paper pliable, wrinkle-resistant and durable. This paper can also be top-coated to improve printing. Making Foil paper a good use in labels and box-wrap. We can provide a total range of Foil paper and Aluminum Foil offerings when working with you to define your project, all while giving you the option of having us hold Inventory for you. Below are some of our offerings and where they are commonly used. Please contact us for just a quick question or to discuss your new project - we are listening!! Acting as barrier to light, oxygen, odors, flavors, moistness and germs, this foil will be used in pharmaceutical and food packaging. Used in drinks and dairy goods so the use of refrigeration is limited in use. Use for keeping foods warm and hot in wrapping of various sandwiches, burritos and Tex-mex offerings. Used widely for thermal insulation, heat exchangers and cable liners. In uses of thermal it provides a reflective barrier. In heat exchangers it provides heat conduction and in wiring and cable it provides a barrier from electrical conductivity. First to come to mind is barbecuing. Food is wrapped in the foil and placed directly on the grill. This prevents moisture loss and burning of food. Used for art, decoration and crafts where metallic colors are often used. Heavier foils are used in these applications. By anodizing aluminum foil it will force it to take on a different color. This process is used to create an inexpensive gold foil. Varying the thickness of the foil will change the shielding effectiveness. Used for shielding components from frequencies, this makes a good insulation in the production of electrical wiring and electrical devices.